Dame Myra Hess was one of the most important musicians during the Second World War, initiating a series of lunchtime concerts at the National Gallery when all concert halls blacked out at night to avoid being the targets of German bombers. The galleries themselves had been emptied for fear of being bombed, starving the cultural pursuits of Londoners so Hess used this empty space to hold informal concerts for war-torn London. These ran for a six-year period and were seen as a morale boost, as well as brave acts of defiance against the war that raged overhead. In addition to organising these concerts, Hess appeared more often then any other musician, for no fee, and as a result became one of the most celebrated, inspirational musicians of the Second World War era. The day includes the world premier of An Eternal Window, a poem written by the late Israeli poet Yehuda Amichai, who died in 2000, and was recognised as one of Israel’s most influential writers and contemporary poets. The poem talks of memory; human memory that is connected or expressed by art, transported from generation to generation. It is a particularly poignant choice, as a day of remembrance to such an iconic figure, in addition to the presence of Amichai’s widow at this performance. The idea of memory, memories of people who fought and died in the Second World War, of Hess for the attendees of the concerts and of Amichai for his widow, will be evoked through the music and the poetry making the marrying of these two figures so appropriate. 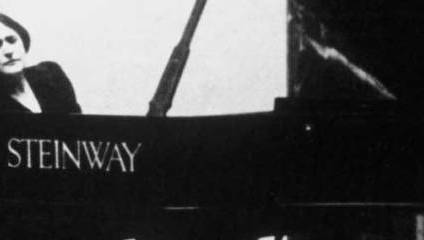 The fifth Dame Myra Hess Day at the National Gallery celebrates this iconic figure in a series of events over Tuesday 4th October, including the world premiere of An Eternal Window. The acclaimed conductor Benjamin Wallfisch, who is known for music from Hollywood blockbusters such as V for Vendetta, Atonement and Brothers Grinm, wrote the music.